A part face zebra print fly mask with ears. 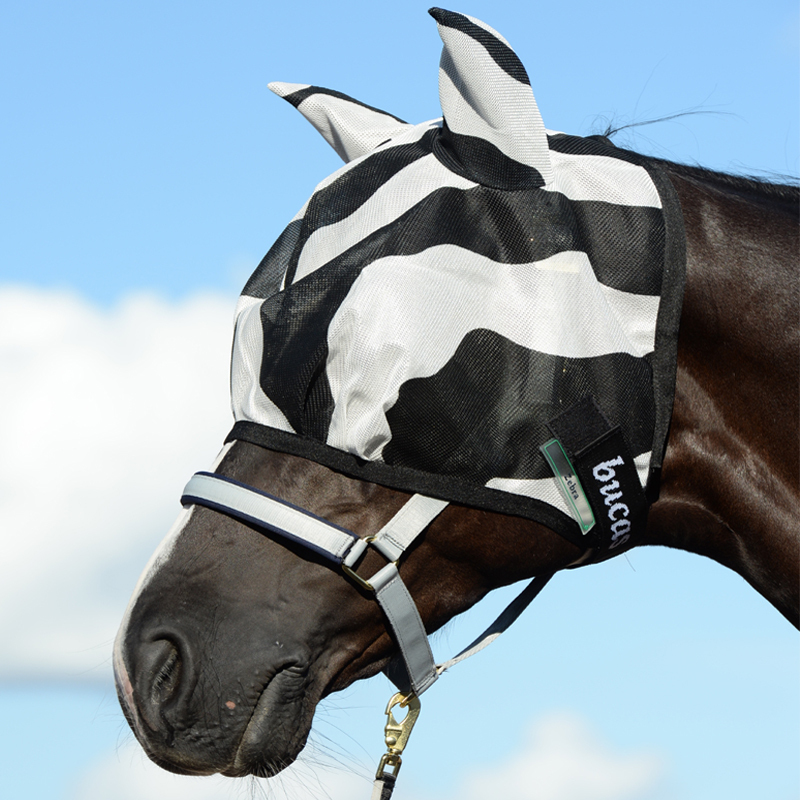 The Bucas Buzz-Off fly masks are designed to be used with the Buzz-Off fly mask range or without. They can be attached to the elasticated brow band to help keep them in place. The half face mask has excellent coverage behind the ears, ideal for horses who suffer with summer eczema or allergies to fly bites. Flies hate zebra print - it confuses them and helps stop them landing on your horse.